The FAA on Monday granted approval and supplemental type certification of the Hawker 800XPR powered by the Honeywell TFE731-50R engines, according to a news release from Hawker Beechcraft Global Customer Support (GCS). The upgrade package, available exclusively through factory-owned Hawker Beechcraft Services (HBS) facilities, offers significant performance and capability improvements by replacing the aircraft’s original engines with new technology TFE731-50R powerplants and improved aerodynamics with Hawker winglets. The first customer delivery is scheduled to occur in early September. Capable of producing 5,000 pounds of thrust but flat rated to 4,660 pounds, the Hawker 800XPR’s new TFE731-50R engines create a robust interstage turbine temperature margin that translates into significantly improved performance and durability. Through the incorporation of 70 design and material improvements, the TFE731-50R delivers a seven percent reduction in specific fuel consumption while increasing maintenance intervals. The result is a 32 percent reduction in Honeywell’s minimum Maintenance Service Plan (MSP) costs thanks to major periodic inspections of 3,000 hours and core zone inspection intervals of 6,000 hours as compared to 2,100 and 4,200 respectively on the original engines. The 800XPR upgrade qualifies for zero-cost enrollment in Honeywell’s MSP. The new engines also deliver a number of green advantages, such as lower noise levels and reduced carbon emissions. 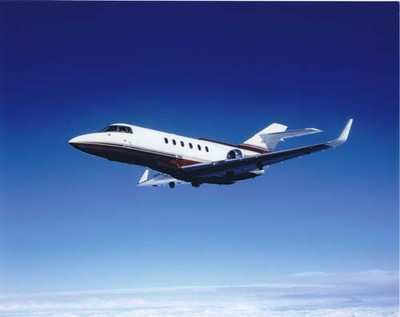 Hawker 800XPR operators will also be impressed by the improved hot/high performance. Climbing directly to FL410 at maximum takeoff weight in just 25 minutes, the 800XPR will reach FL370 a full three minutes faster than the Hawker 800XP. The direct climb capability, combined with the airplane’s improved fuel efficiency, translates into true transcontinental range and faster block times. In addition, optional avionics, a newly stylized interior and XPR custom paint designs are available. EASA certification is pending approval.